I bought this acro on a road trip about 3 weeks ago and have not had any response in the ID section on what it might be. It was browned out when I picked it up but has since colored up nicely. Ran across a pic of a WWC Snowdrop acro pic this morning, looks to have identical polyps and near the same coloring minus the frag pic I found is deeper color. Maybe the image is staurated? My pic is as close to what I see in my tank at peak intensity around 14-16k ish. If anyone has a frag or colony of this that might know? No one here has one of these acros? Sorry. Never heard of it.. The colony looks kind of like a limeade nasuta.. But I am lousy at id ing corals.. I wish these vendors would stop using these ridiculous marketing gimmick names for these corals and instead opt to use the actual names. I saw several of these on their auctions and during the live sale. I was hoping to snag one and I am sure I will eventually. There's a pic of the mother colony in the thread for their 24 Hour Live Sale that they had. I would link it but the site that hosted the sale is blocked here at work. It's an impressive colony. I don't think it's a Nasuta, the polyps look completely different. 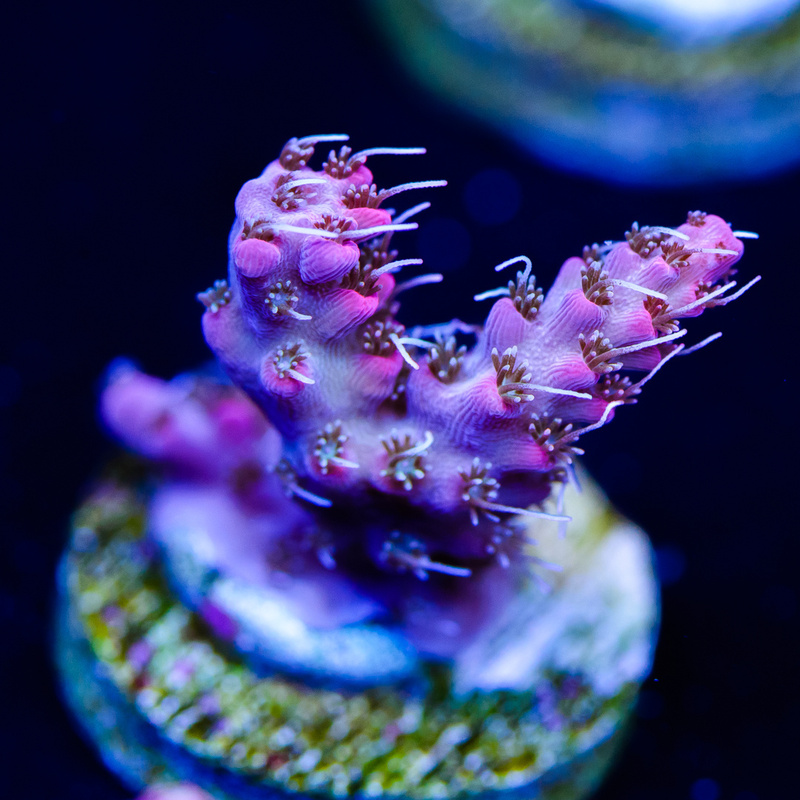 Has the small red/white tip with one long white for each polyp. I agree would be cool to actually know what it really is rather thans some made up name that dirves the $$ up. lol Any chance you could just type the name of the site so I can search it out? Here you go! Glad I have a smartphone! That's WWC's mother colony of Snowdrop. I'm not seeing anything on a search that looks the same for growth pattern or polyps. Do you have a pic or link to something? Don't have any pic. I had a couple colonies of sarmentosa, one red and one green, and the green one looked just like the colony you posted. They were transhipped as "acropora sarmentosa"
I see, I keep coming up with images that look like this which looks nothing like the colony I have. Growth is wrong and ployps are different. The mother colony of the snow drop looks like a different coral than what your mini colony is. It's hard to tell what a coral could be unless it's growing into a colony. Yours looks like a small hyanthicus mini colony, that is if you have grown it from a frag. Did you grow it out or buy it at that size? Was it wild, maricultured or tank raised? Doesn't look like a nasuta or sarmentosa if you ask me. You should go on aims to get coral IDs and not try and match a random coral to vendors that give names to their pieces. Unless it was bought from that vendor as that piece the odds are slim to none that's the same piece. Look up hyanthicus on aims coral guide and if it's not close look at corals that are similar that they list on the side. Yep I got that, once I saw the mother colony it's obviously not what I thought it "might" have been. I only looked at it as I could not find anything else that looked remotly close with the same growth and odd polyps, this one has the right polyps. And I got Zero response to my Coral ID post so thought I would see if anyone had a full colony shot or had one to actually compare. Bought it on a road trip as stated from a store where the owner was on vacation so there was Zero info I could have gotten from the girl that was taking care of the shop. Doesn't seem to be a way of looking up anything on Aims Coral Guide, just googled it and it. Has a lot of information on corals, bleaching etc but no search function. Looking up "hyacinthus" <- this is what you meant to spell correct? Again nothing the same. Thanks for the replies, maybe it's just a random wild acro. 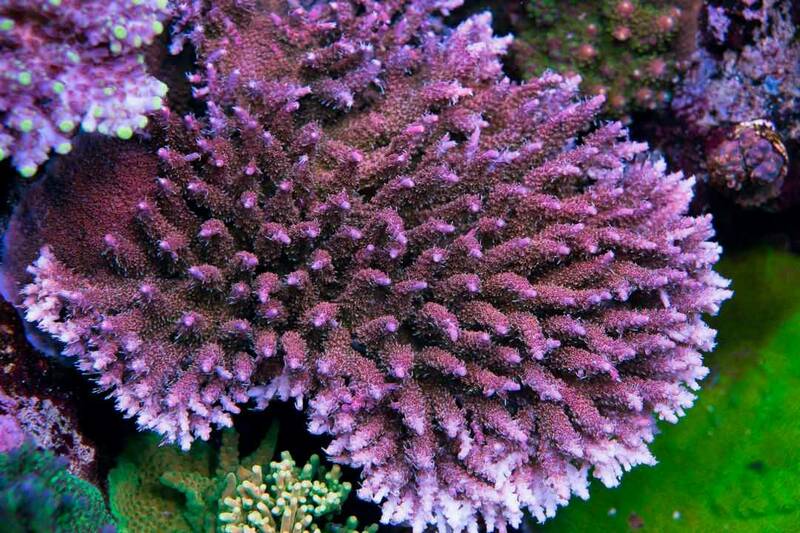 using polyps as a I'd reference doesn't work well with acropora. Coralites and growth paterns and branch shapes are easier to get IDs from but even then it's very hard to get a positive I'd unless you have a dead coral skeleton to show someone who knows how to I'd them that way. Unless it's a mature colony picture everyone will be giving their best guesses.